Late December brings a spate of year-in-review lists. While overused, they are a handy way to recap the year that was. One way to look back on 2016 in Scouting is by seeing which Bryan on Scouting blog posts were most popular. We write the posts, but you read them. So a page-view ranking is an effective way to understand your interests — and help us write even more useful posts in the future. But first, a quick thank you. On behalf of the entire Scouting magazine team, we appreciate your loyalty, questions, story ideas and comments. Enough stalling. These are our 16 most-read posts of 2016. Note: These were the most-read posts that actually were published in 2016. For older posts still getting big numbers in 2016, see the honorable mention section at the end. On a recent camping trip to the California coast, the Scouts of Troop 57 stepped out to see the ocean. A while later, they returned to the Suburban and felt their stomachs sink. The SUV had been broken into. All of the boys’ bags were gone. What happened next is a minor miracle. Read the post. Derek Hough (Dancing With the Stars, Hairspray Live) attended an Emmys reception dinner wearing his Cub Scout uniform shirt. Derek told his dad, Bruce, that wearing the shirt “was a reminder to him that he needs to live these things each day of his life, ” Bruce says. Read the post. Lions, a new Boy Scouts of America pilot program for kindergarten boys, began in participating councils this fall. Why go younger? Research shows that a child’s development accelerates at age 4 and 5 — about the time these youngsters begin their formal education in kindergarten. Read the post. When Peyton Manning took his snaps in Super Bowl 50, he received the football from an Eagle Scout. Matt Paradis, starting center for Denver Broncos, earned Scouting’s highest honor as a member of Troop 319 of the Ore-Ida Council. Read the post. The First Aid merit badge, dethroned by the Cooking merit badge in 2014, reclaimed the crown in 2015. Put another way: More Scouts earned the First Aid merit badge in 2015 than any other merit badge. And it wasn’t really close. Read the post. If you were to put the 2015 Eagle Scout class inside Yankee Stadium, you’d still have more than 4, 000 Eagle Scouts without seats. That gives you some idea how large the 2015 Eagle Scout class is — 54, 366 members strong, representing an increase of 4.9 percent over 2014. This was the fourth-biggest Eagle Scout class in history. Read the post. 10. What was the average age of 2015 Eagle Scouts? Eagle Scouts are getting older. In 1949, the average age of Eagle Scouts was 14.6 years. In 2015, that number was 17.34 years old. Young men are staying in Scouting longer, meaning they’re enjoying the program for a longer amount of time and not feeling the rush to earn Eagle until they see their 18th birthday on the horizon. Read the post. Ray Capp asked some former Scouts — ages 30 to 80 — a simple question: What’s something you absolutely would never have done if you hadn’t been a Scout? 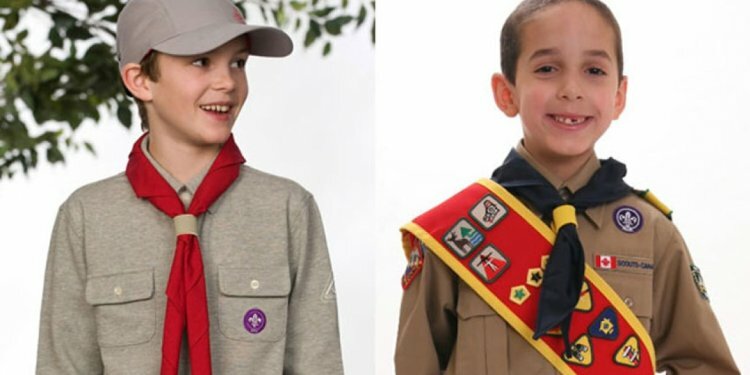 The result is an impressive list of “Things I Did Because I Was a Boy Scout.” It’s a powerful recruiting tool. Read the post. On April 1, the BSA announced a new program called Puppy Scouts. These very good boys will be part of existing packs, troops, teams and crews. They’ll be invited on select campouts, as long as they carry their own gear and are current on their rabies vaccine. Oh, and … April Fools! Read the post.